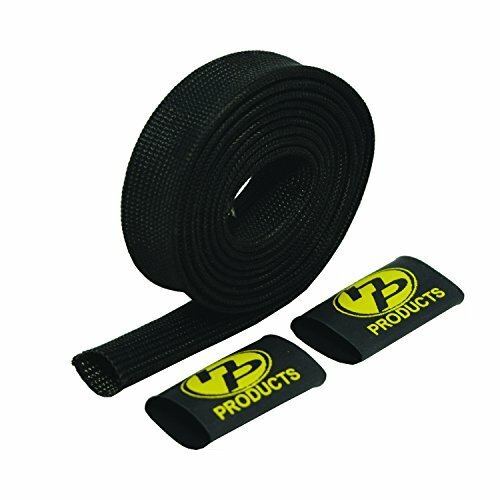 HP Builder's Kits feature a heat protective thermal sleeving capable of withstanding 1200F continuous. This non flammable sleeve has a special weave that allows it to expand and contract over fittings. These sleeves can protect fuel lines, preventing vapor lock. They can also be used to protect wires from heat damage and allow you to hide your wiring. The 1/2 Inch sleeve is ideal for shielding most fuel lines, helping to stop vapor lock and improve performance. The smaller 7/16 Inch sleeve is great for small wire looms and brake lines. The 5/8 Inch id sleeves are ideal for protecting your oil lines from heat damage caused by being too close to the motor or exhaust. So add some heat protection and make your ride a cooler one. If you have any questions about this product by Heatshield Products, contact us by completing and submitting the form below. If you are looking for a specif part number, please include it with your message.